A dental implant is a pure titanium or zirconium "root" which is inserted into the maxillary bones to replace missing teeth. Usually, the implant has some coiling on its surface; this one has (on microscopic level) a rough appearance, for a better clamping of the implant to the bone. If you lost a tooth or you had a dental gap, an implant can be inserted into the maxillary bone; the bone will reconfigure around the implant. Once integrated, the crowns/bridges can be done. No, it is not, because it's done under I.V. sedation (you will be asleep during the whole procedure). Some post-surgery pains are possible, but they can be controlled by sedatives. These can be taken even before starting the treatment procedures. Do I have to expect a certain discomfort after the surgery? It depends on the procedures' duration. Sometimes, slight swellings or discoloration of the mucous membrane, of the gums, cheeks or lips can be observed. To prevent this trouble, after the surgery, the patient will receive cold compresses, which will be kept on the troubled zone, for about 15 to 30 minutes. What are the advantages and disadvantages of the implants? The duration of implants will increase as the knowledge and the experience in the field will improve. 96 of one hundred implants made into the lower jaw are still looking good after ten years. The prognostication concerning the upper jaw is less encouraging. The difference is caused by the fragility of the upper jaw's bone structure and by the existing type of bone, specific to each person. Are there any guarantees regarding an implant? There are not, unfortunately. 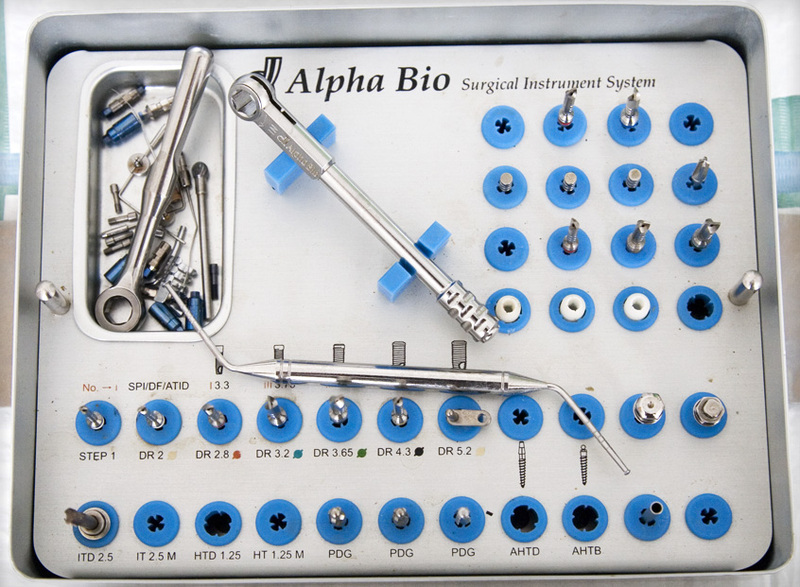 An implant, inserted in a living organism, can produce unexpected reactions of rejection; the time for the implant to be accepted by the bone structure depends of the patient's cooperation as well. If it‘s not satisfactory, the surgeon who performs the implant can't be blamed about it. If, by accident, something goes wrong, the doctor will do his best to find the best solution to the problem. It is very important, because the patient will fill in a form, regarding his state of health. During the first appointment, the patient's general state of health will be analyzed, concerning the answers from the form. The dental status will be determined by the oral and X-ray exam. This way, the doctor will find a solution to each patient's dental problems. Usually, we can conceive a definite treatment plan, but more options can sometimes appear. 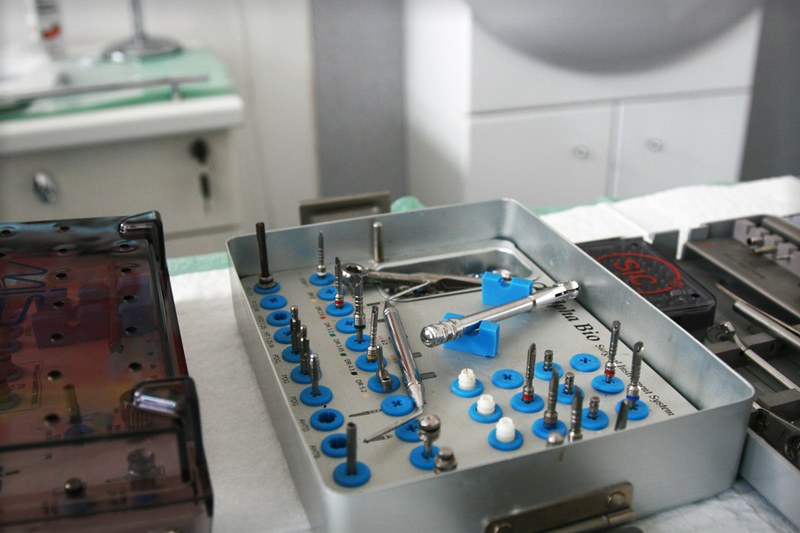 The therapy by implant is only one of many treatment solutions; we'll do our best to inform you on the results you may expect after the chosen treatment. We will conceive one or more treatment plans specifying the costs, so you can choose the best offer. During the second appointment, the plan being determined, everything becomes easier. 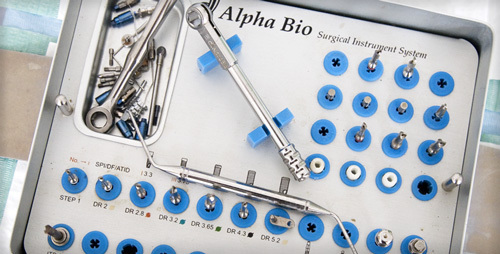 We will not initiate the procedures, unless the patient agrees to everything it is to be done during the treatment. 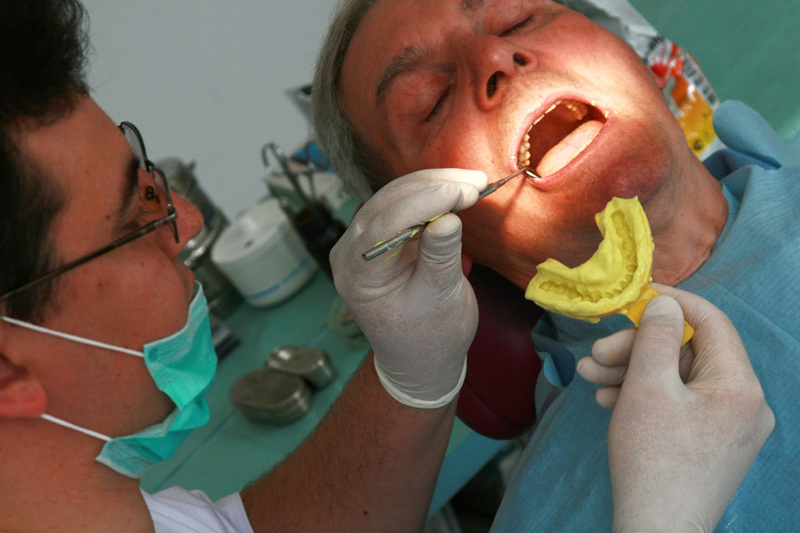 In some cases, there are treatments which must be done before the implant treatment. The hygiene degree of the oral cavity must be determined, the periodont of the remaining teeth, the correctness of the obtrusions and the existing crowns must be investigated. Sometimes, it is necessary to extract a few teeth before initiating the treatment. For a better cure and comfort, antibiotic recipes will be prescribed to prevent infections who may appear during the treatment. We also recommend mouthwash, for a proper hygiene and sedatives to relieve eventual post-surgery pains. It is also possible that the patients haven't enough alveolar crest to insert the implant into; in this situation, we will construct a new bone, combining some techniques: the placement of the artificial bone in areas with bone resorption; the transplant of the patient's own bone (the procedure is often accomplished by a maxilofacial surgeon); using concentrated plasma. After a local anesthesia, a little incision is made into the gum. Drills of different diameters are used to drill successively, making place to a titanium implant bolt. After inserting the implant, the gum will be sutured. The implant will remain into the bone, covered by the gum, allowing this way its integration. The cure period is estimated between a few weeks up to six months. One week after the surgery, a control will be made, to evaluate the cure process and to remove the suture wires. 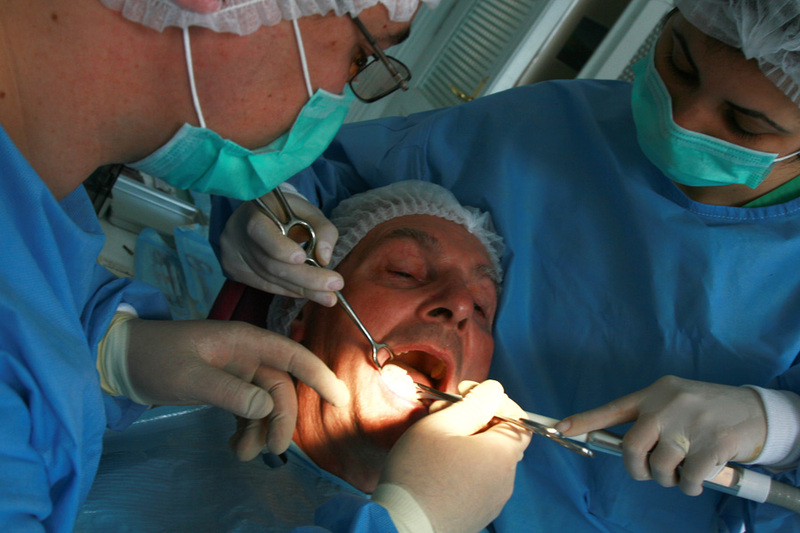 After a cure time, the implant is localized and uncovered to apply a superstructure on it. This-one can be a crown, a stable bridge or a movable denture. The superstructure is done in three to six appointments; the time between implants' insertion and this procedure can vary between six weeks and six months. the necessity of a bone-augmentation. An implant can be sometimes inserted so that its upper structure is slightly above the gum; this way, the exposure of the implant in a further is no longer necessary. In few cases, the implant is immediately fitted, so that a temporary prosthetic construction can be applied in only a couple of days. The treatment completed, the X-ray control will be done one year later. The next x-ray control will be done two years later or according to the patient's opinions about this issue. What am I allowed to do before and after the treatment? Can the implant be rejected? No, it can not. Titanium is an "implant and forget" metal, meaning that is completely inert and immune to any corrosion caused by bodily fluids. Because it does not create adverse reactions in the surrounding tissues, it's never rejected by the organism. Furthermore, the implant's external surface is impregnated with hydroxiapatite crystals, a biologically compatible substance which convinces the jaw bone that the implant is part of the body, making it attach to the implant like it would do in any case of bone fracture. The real problems that can appear are related to infections of the surrounding tissue. 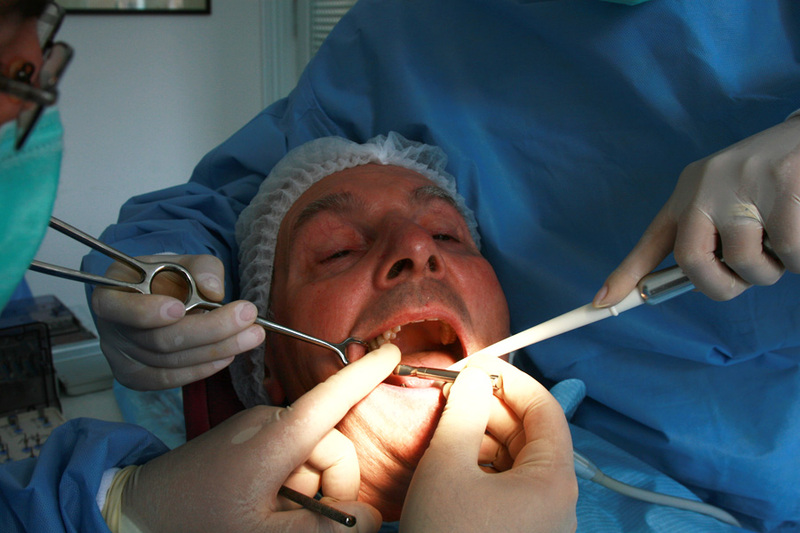 The mouth is a place where a wide range of bacteria thrive, and sometimes contamination can occur during surgery. 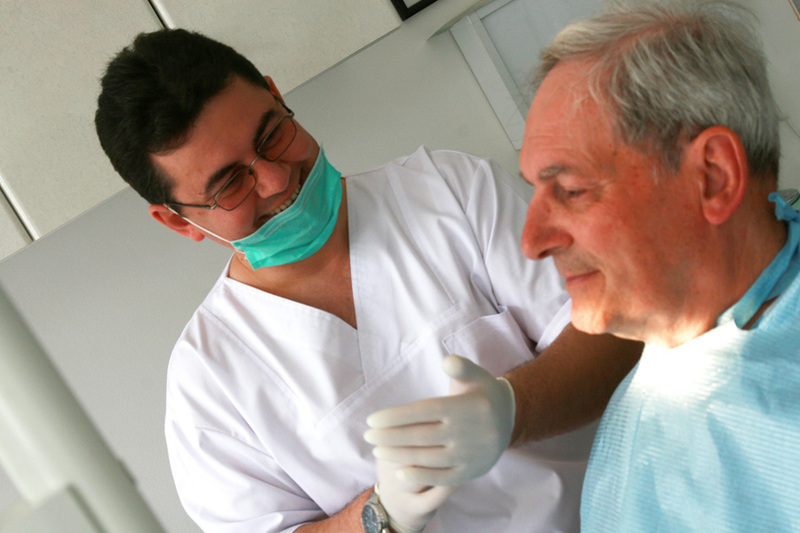 Bacteria can be stopped through anti-bio-therapy and the proper oral hygiene. I am too young or too old for an implant? One is never too young or too old for an implant; as long as one's healthy and capable of enduring the surgery, the implant can be done regardless of the age. The oldest patient we had was 76 years old. Implants aren't recommended though, under 20. The jaws have to be matures for an implant and they aren't mature until 20 years old. If the implant is done too early, the other teeth will continue to grow and the implant will be blocked under other teeth' level and the procedure will fail. To determine if the growth is over, tele-x-rays of the scalp can be done once at 6 months. The results can be compared and if the parameters don't change, it means the growth is done and the implant treatment may start. Is there a difference between an implant crown and one's natural tooth? Generally, dental crowns and bridges can be done in such way that nobody can perceive the difference; the progress is continuous in the aesthetic field. The process of the ostheo-integration not being a problem, the researchers all over the world are trying to make implant crowns and dental bridges as natural and beautiful as possible. Is it possible to have a bridge between an implant and a natural tooth? It is possible, but it is not indicated. The construction can be done, but it usually fails. A natural tooth has periodontal ligaments, which allow a slight movement. On the contrary, an implant doesn't allow any movement, as it is deeply inserted into the bone; because of these differences, all the pressure relies on the implant during the mastication; this can bring to the bursting of the implant's bolt or even to the fracture of the implant. On the other hand, when a bridge is made on implants and includes the entire jaw, a link between them and one's own tooth can be easily realized. Can an implant treatment be done in one day? Generally, more an implant rests in cure period the less the risk of problems is. When a few upper incisors are left or they have been recently extracted and there is enough bone, a stable bridge of three implants can be done in one day only. When only one tooth has to be extracted and the bone is in good shape, the gum isn't inflamed, a temporary crown can be done, just after the insertion of the implant. General anaesthesia with intravenous sedation for phobic and nervous patients using a special light anaesthesia developed for dentistry. The whole process is continually monitored by an anesthetist! "I would recommend Dr. Cristian Manu to anyone who is thinking of having dental implants. I would be more than pleased to show them the work Dentist Dr. Christopher Manu has done for me and tell them the treatment I got from them during my 9 days in Romania. I am letting you know how pleased I am with Cristian Manu for giving me a smile I am proud of. Cristian and his team’s manners and patience throughout cannot be faulted. My gratitude is truly endless for the treatment that I got from them from the beginning to the end of my implant journey. I will never forget how professional and exceptional Cristian was. His caring and thoughtfulness made my nine days so colorful. He picked me up from the airport and dropped me off at the airport where we shook hands and said farewell to each other. He called me everyday to make sure I was OK and my stay in Romania was so pleasant. If I needed something he made time to drive me around to see to my every request. It truly impressed me Andrea and Cristian’s people first attitude. I will always remember Romania and their Clinic forever. I will never forget Cristian Manu's guardianship. I had only nine days of staying in Arad but Cristian did everything in his power to drive me around daily and to finalize my implant even though he and his team had to work in the clinic on Saturdays and Sunday until very late in the evening. So to Dr. Andrea Manu / Dr. Cristian Manu I can only say I sincerely thank you for everything and I will remember Romania forever. PS. I teach in S.Korea since 2002."